I must admit that I love a good fishcake. 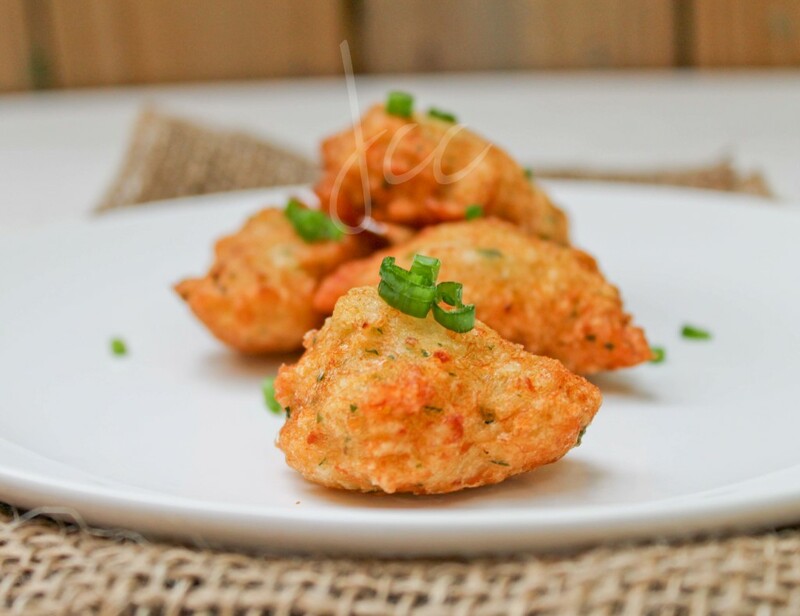 While some use potato and other fillers, this version has very little filler and is made with uncooked fish. Truthfully I would love to call it an all fishcake, but then I would be lying since there is bread crumbs in the mixture. 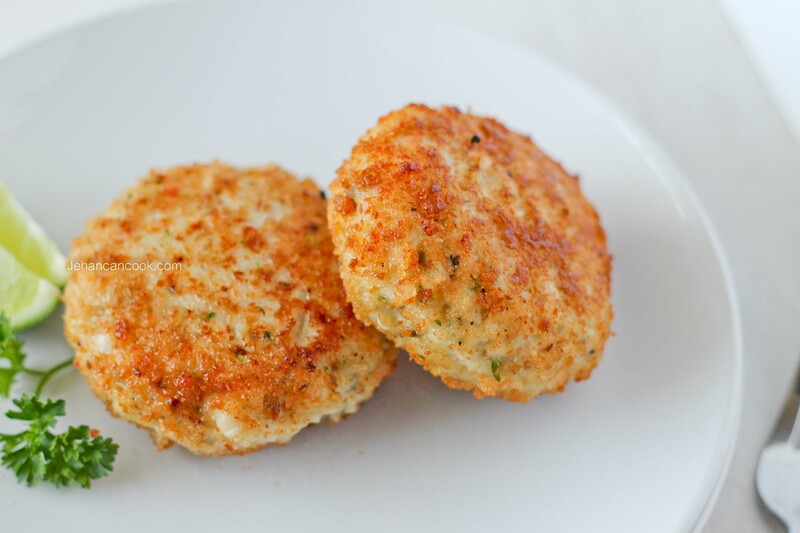 I chose to use just enough fresh bread crumbs to hold the fishcake together because it makes it really moist as the bread crumbs seem to melt once cooked. This results in a light, delicate fishcake with no detectable breading. The fresh herbs, garlic and pepper come together really well with the fish without overpowering its natural flavor. I must point out that it’s crucial to make sure to chop the fish coarsely. 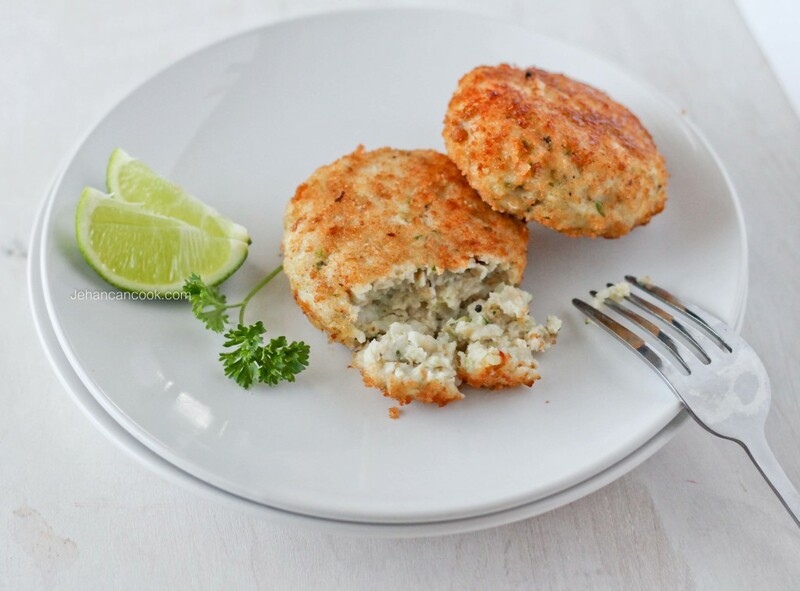 If the fish is too finely chopped or is a paste it will affect the texture of the fishcake. 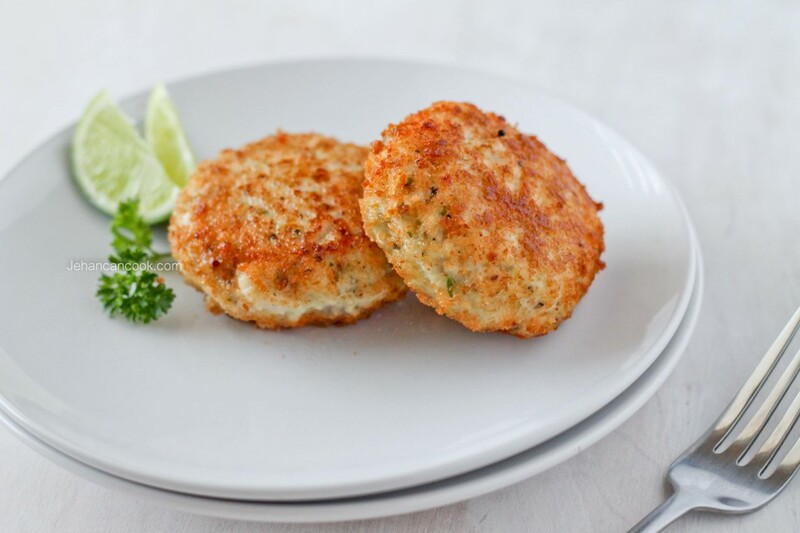 Crispy on the outside, moist and mellow on the inside, this is the perfect fishcake. Enjoy. Place the slices of bread in a food processor and pulse until it’s crumbly. Put the bread crumbs in a bowl. Next place the fish in a food processor and pulse until the fish is chopped coarsely; you do not want the fish to become a paste. If you do not have a food processor, chop with a knife. Place the fish back into a bowl. Finely chop the thyme, parsley, scallion and garlic then add to the bowl with the fish. Add about 1/3 of fresh bread crumbs, black pepper, red pepper flakes, mayo, salt and lime juice and mix to combine. Place remaining bread crumbs onto a plate. 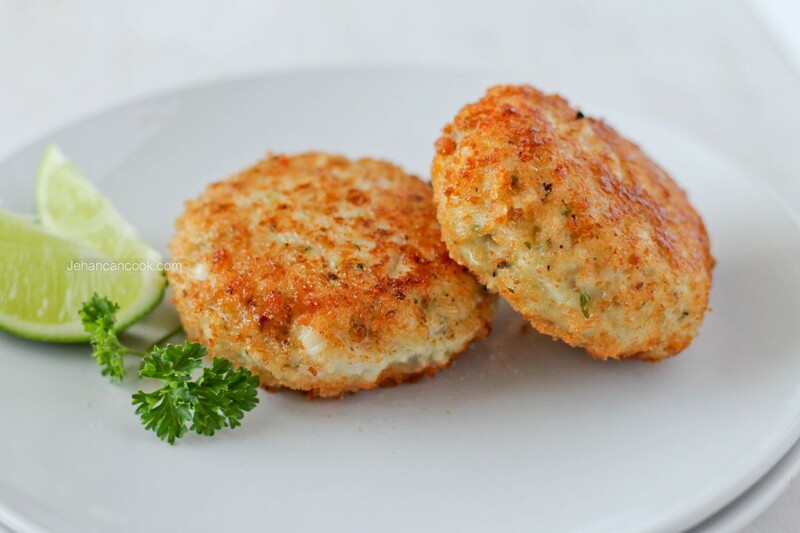 Spoon about 1/3 cup of the fish into the palm of your hands and form into a 1 ½ inch thick patty then lightly coat the fish cake with the bread crumbs. Place on a pan lined with parchment paper then repeat with the remaining fish. Place enough oil in a frying pan that’s about 1 inch deep. Heat oil over medium fire; once oil is hot, lower the heat to medium low. Fry fish cakes for 5 minutes per side until golden brown, flipping only once. 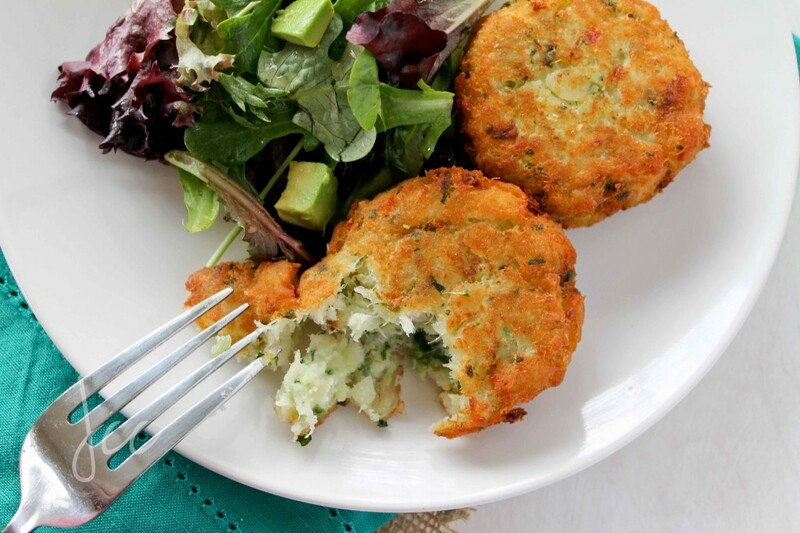 You do not want to move the fish cakes too much or it may fall apart. If the fish cakes brown too quickly, then lower the fire. 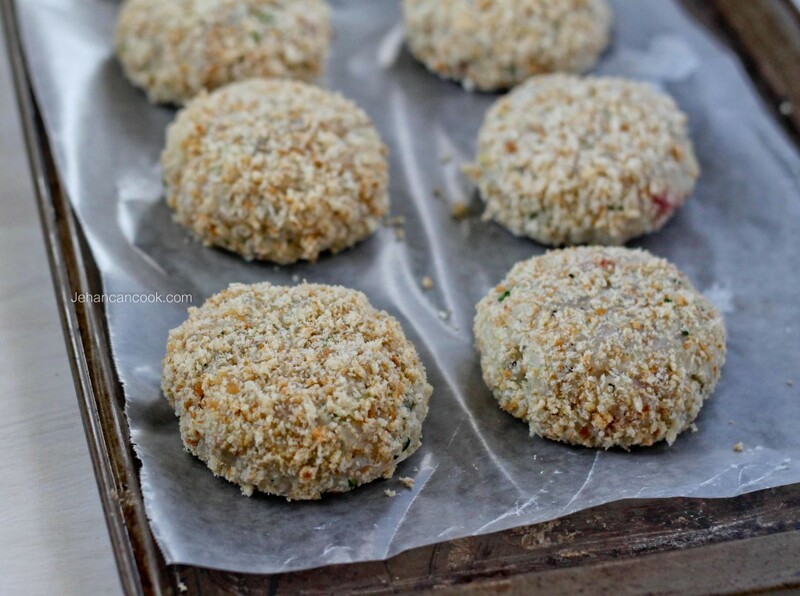 Once the fish cakes are golden, remove from the fire and place on a plate lined with paper towel to drain. oh yum, i wish mine came out this pretty! If i can get my hands on wild caught tilapia I’m gonna try it. Jehan, Great recipe! Always looking for innovative ways to feed and serve my family. Your recipes are are nutritious, easy, and you keep it real… thank you so much! Thanks Elle, it’s definitely worth a try. Oh yeah this is so incredible!! 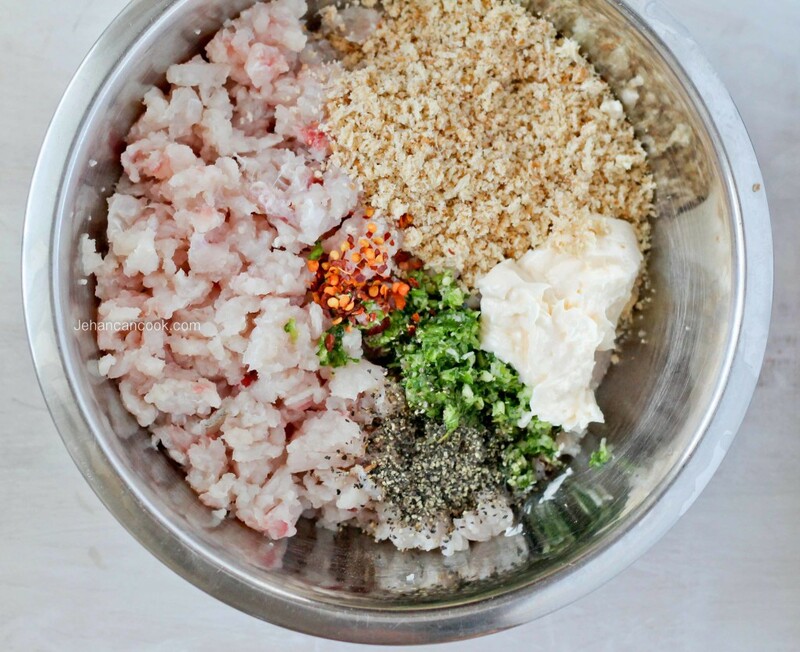 I can’t wait to make this fish cake. Thanks for sharing!! Very excited to try these. They look and read amazingly yummy. As always, Thanks! Thanks Deittra, I hope you like it.